Montana Grill Foldable from Maspion use to enjoying all of nature’s glory. If you are looking for that perfect grill or you are building an outdoor kitchen this grill is suitable for you. Cook that steak to perfection every single time. 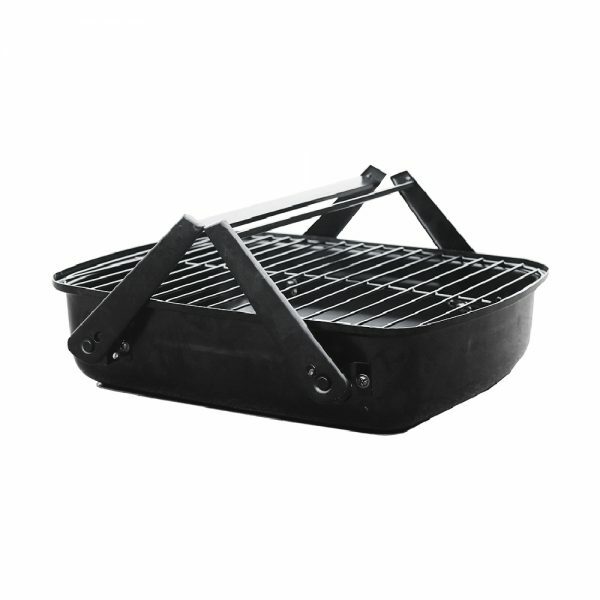 Easy to carry, perfect for barbeque party. 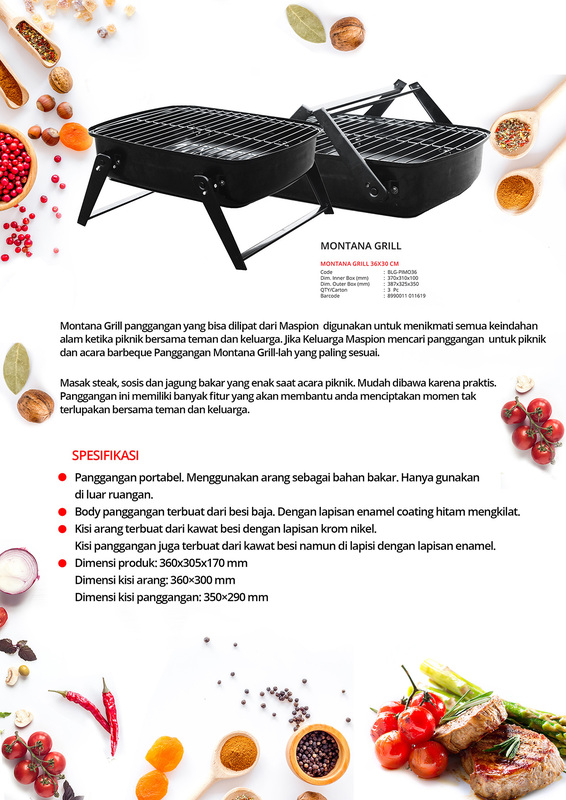 This grill have a lot of feature that will help you create unforgetable moment with your friend and family. Body made from carbon steel finish black shiny enamel coating. Charcoal grid made from steel wired with chrome nikel plated. Cooking grid also made from steel wired finish with enamel coating.